The journey represents an attempt to transform a dream into reality. We are pleased to welcome you to the new Mercure La Seyne sur Mer hotel. Hotel Mercure Toulon La Seyne-Sur-Mer is located close to Toulon harbor and beautiful Var beaches. Its 96 tastefully renovated rooms all turn toward the sea. Come and enjoy a relaxing time around the pool or in our wellness area. This Mercure hotel is an ideal location for business or leisure trips. Discover Seyne sur Mer, the listed seaside resort on the coast of Provence, the massive Cape Sicié, the natural sandy beach of Sablettes, the proximity of Iles d'Or, the Cassis coves, the famous F1 Circuit Paul Ricard and its islands. The Mercure Toulon La Seyne sur Mer Hotel offers 96 non-smoking rooms with adjustable air conditioning. Choose a Classic room (about 22m²) or a Privileged room (about 25m²) for your seaside stay. Some rooms also have bathtub. Wi-Fi access is available free of charge throughout the hotel on a 24/7 basis. Residence is free for children up to 12 years old sharing the parents' room. 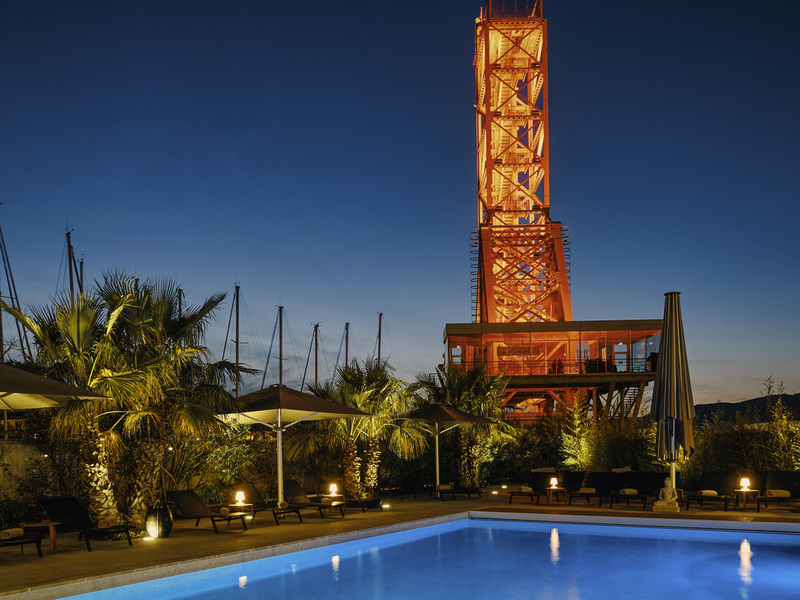 Located in the lobby of your Mercure Toulon hotel, the Kbar welcomes you within a cozy and relaxed atmosphere facing La Seyne-sur-Mer yacht harbor.